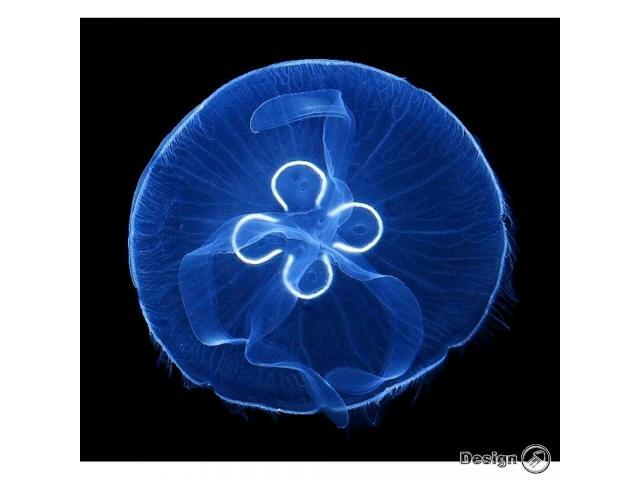 The moon jellyfish live in large groups and feed on small animals. 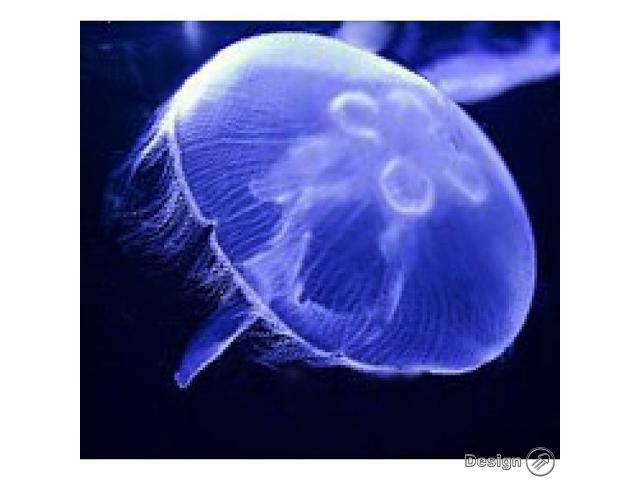 To distinguish them from other jellyfish, we can look for four small circles in the middle of their bodies, which look like a full moon. 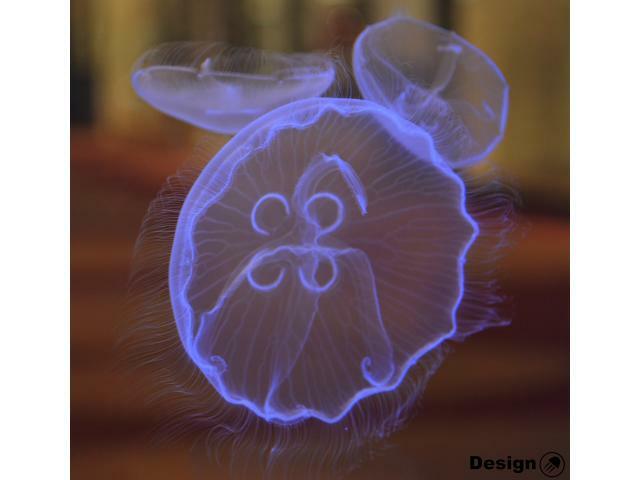 This kind of jellyfish is not harmful to humans because their venom is not able to penetrate the human skin. 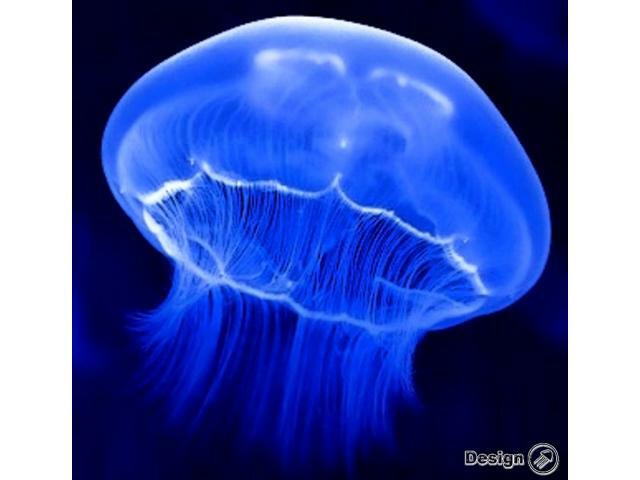 They are dangerous only to very small animals. 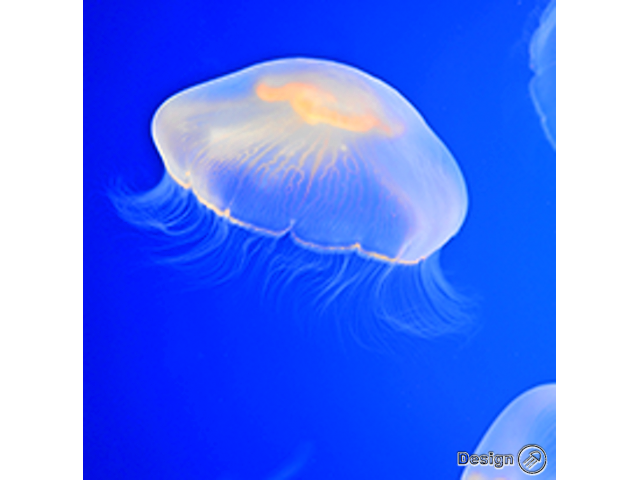 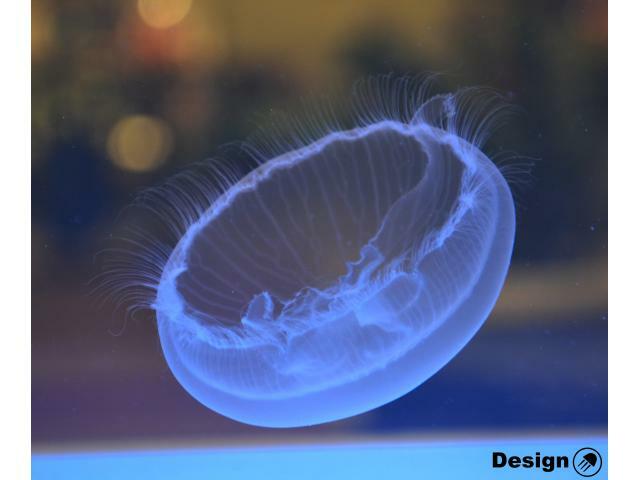 In captivity, the jellyfish are fed with live Artemia or a dried or frozen phytoplankton. 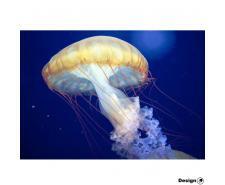 They grow to size from 5 to 40 cm, according to the size of the aquarium. 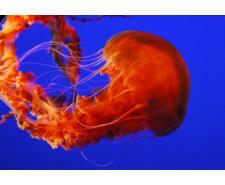 Once taken good care of and also the non-existence of predators, they live for approximately one year.